During the 18th century, a new and effective style of town planning emerged. In Europe, this occurred largely because political power remained in the hands of a very few nobles. The form of entire cities could be dictated by autocratic rulers, and a capital city's appearance became a matter of prestige. Monarchs vied with one another to employ the virtuosos of the day, who were usually itinerant artists and architects. This movement between countries and the various royal patrons largely encouraged the development of a greater homogeneity in style. Although architectural works reflected the varying characteristics of different countries, they also expressed, for the first time, a common artistic language. The execution of town plans was more evident in some capital cities than others: for example, Rome continued to develop within the basic structure adopted during the 17th century, while Juvarra began the process of organizing the city of Turin according to a grid plan that survives until today. 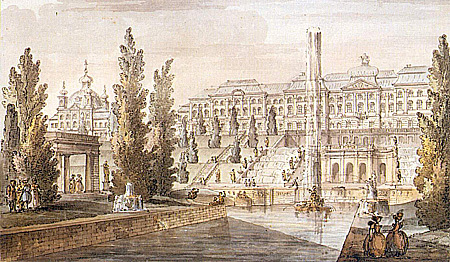 Several new palaces were built in Vienna, sited at intervals around the old centre of the city. The most important of these was the Belvedere, built from 1714 by Johann Lukas von Hildebrandt for Prince Eugene of Savoy, not far from where the Karlskirche was built. Meanwhile, the great abbeys in the countryside of Eastern Europe were also built on a scale comparable to that of the edifices in towns. 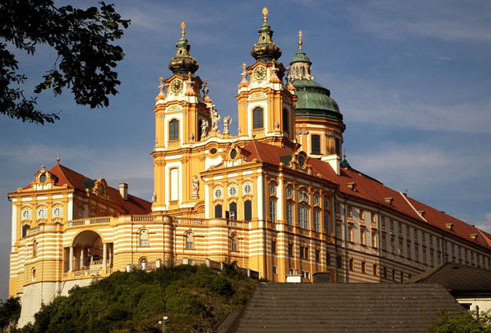 The Abbey of Melk (1702-14) in Austria, was designed by Jakob Prandtauer (1660-1726) on a site above the Danube, so it appeared to rise out of the rock. 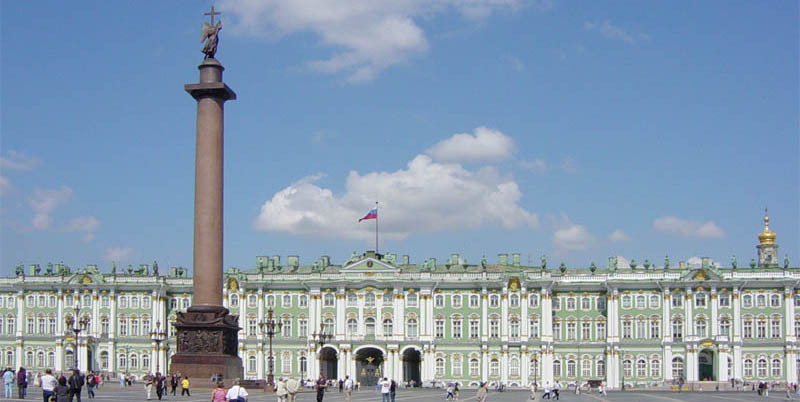 At the beginning of the 18th century, Tsar Peter the Great founded the city of St Petersburg. 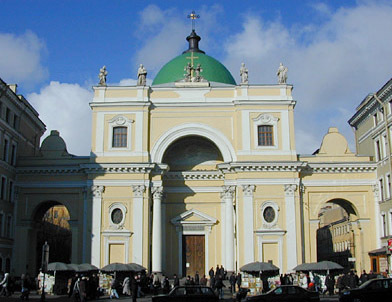 This drew artists and architects of many nationalities to Russia, including the Italian architect Bartolomeo Rastrelli (c.1700—71), who designed churches and imperial residences such as Tsarskoe Selo (1756), which were noted for their distinctive, hybrid but brilliantly conceived version of the High Baroque style. In Scandinavia, a style became prevalent during the mid-18th century that combined Austrian and French Rococo. At Amalienborg in Copenhagen (laid out 1750 to 1754), Nils Eigtved (1701-54) built one of the finest urban groups outside France, consisting of four palaces arranged around an octagon and four streets. Founded by Peter the Great as the new capital of Tsarist Russia. 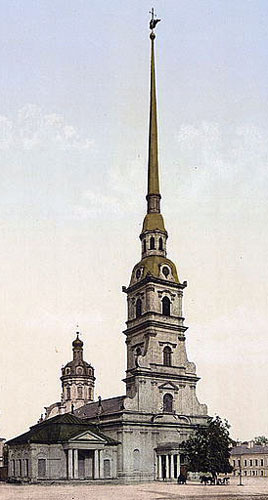 St Petersburg was constructed according to the plans of Domenico Trezzini (c.1670— 1734). who designed the broad, straight thoroughfares or "prospects" along which the first majestic palaces were subsequently built. 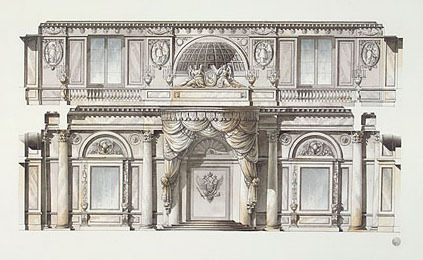 A fellow Italian architect, Rastrelli followed his father, a sculptor, to Russia, and was responsible for the city's Rococo embellishment under Empress Elizabeth. 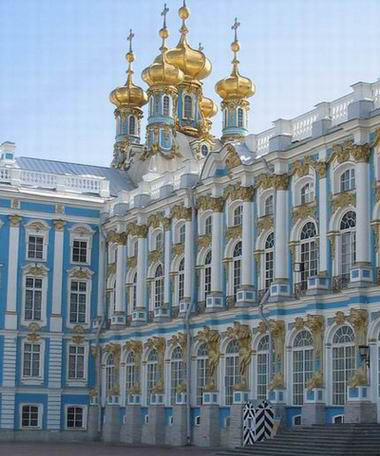 One of the best examples of his work was the Winter Palace, which was built in the years 1754 to 62. Facing the historic Fortress of Peter and Paul, the palace epitomizes the style known as "stone Baroque " and, in contrast with the opulence and bright, multicoloured decoration admired by Muscovites, the refined elegance of its clean lines and shading of wellmatched colours shows how European artistic influence could co-exist with Russia's artistic heritage and cultural tradition. During her reign. Catherine the Great ordered the construction of a large number of public buildings, later boasting that she had found a wooden city and left one of stone. These commissions included the Academy of Fine Arts and the Little Hermitage, both designed by Vallin de la Mothe, and a theatre by Antonio Rinaldi, who also designed the beautiful Marble Palace. These buildings signalled the waning of the fashion for the playful, lighthearted tone of Late Baroque and heralded the emergence of the Neoclassical style. The Academy of Science by Italian architect Giacomo Quarenghi (1744-1817) displayed the new criteria of severity and restraint. 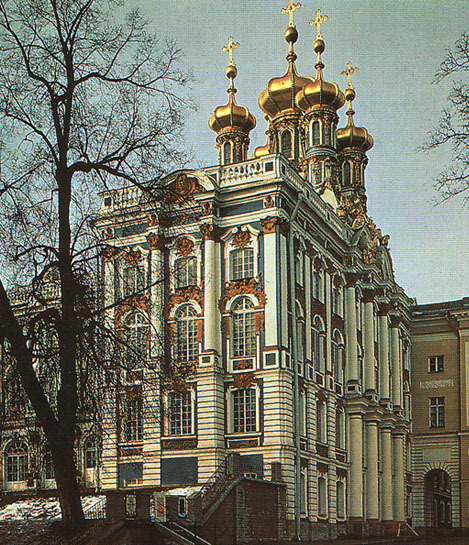 Catherine the Great's personal museum, the Little Hermitage (1764), housed the first great collection of European paintings. 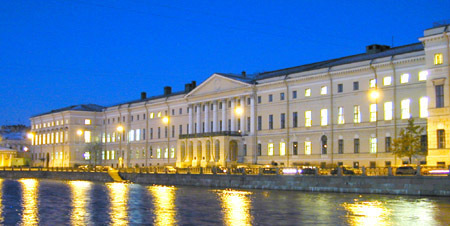 When the collection outgrew the building, a second museum, the Great Hermitage (l775-82), designed by Juri Feliten, was built beside it. Domenico Trezzini (ca. 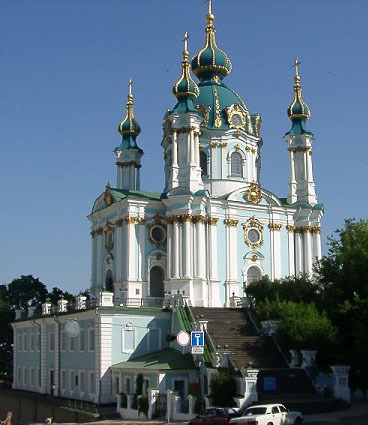 1670-1734) was a Swiss architect who elaborated the Petrine Baroque style of Russian architecture. Domenico was born in Astano, near Lugano, in the Italian speaking Ticino (at that time administered by the German speaking cantons). He probably studied in Rome. 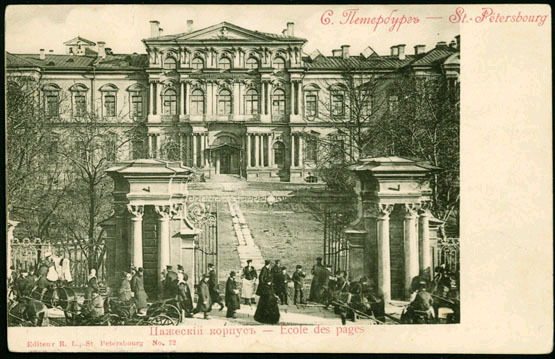 Subsequently, as he was working in Denmark, he was offered by Peter I of Russia, among other architects, to design buildings in the new Russian capital city, St. Petersburg. Since 1703, when the city was founded, he substantially contributed to its most representative buildings. 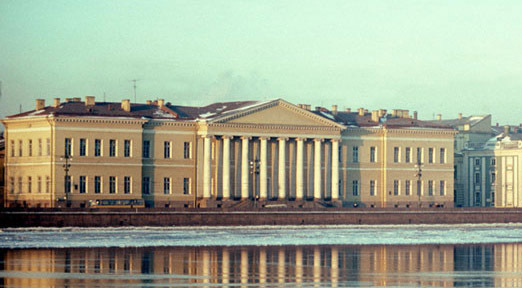 The Peter and Paul Fortress with the Peter and Paul Cathedral, the Twelve Collegia Building (now the headquarters of Saint Petersburg University) as well as Peter's Summer House count among his many achievements. 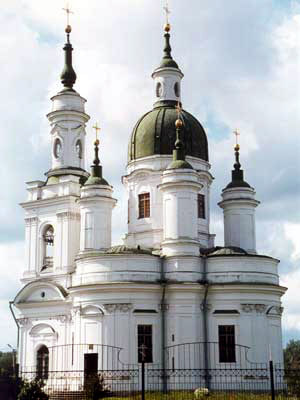 He also helped found and design Kronstadt and the Alexander Nevsky Monastery. Domenico Trezzini was very important for another aspect of Russian architectural history: in founding a school based on the European model, he laid the foundations for the development of the Petrine Baroque. Count, an Italian by birth. Born in Paris. Son of architect and sculptor Carl-Bartolomeo Rastrelli. Studied under his father. 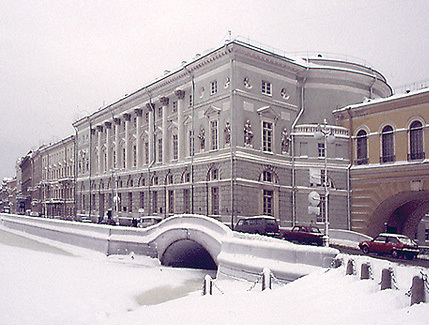 In 1716 came to St. Petersburg with his father, who had concluded an agreement with Emperor Petr I, and assisted him. Beginning in 1722 worked independently as an architect. Between 1722 and 1730 traveled twice to Italy and France to improve his knowledge of architecture (one time for 5 years). 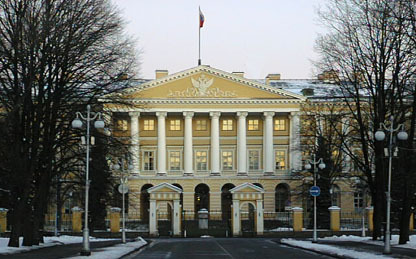 Carried out private orders in Saint Petersburg and Moscow. When Elizabeth ascended the throne in 1741, he became her favorite court architect. He bore the rank of major general, the title of cavalier of the Order of St. Anne, and was an academician of architecture (1770). He had a number of students and followers. 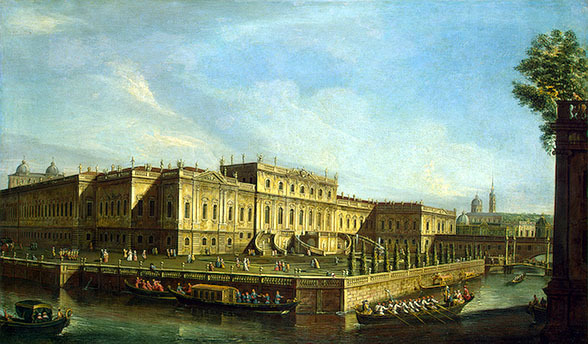 When Empress Catherine II ascended the throne in 1762 Bartolomeo Francesco Rastrelli went into temporary retirement, in 1763 he was dismissed completely and left for Switzerland. Most of Rastrelli's work has survived. This architect is often referred to as the "master of Elizabeth an Baroque." 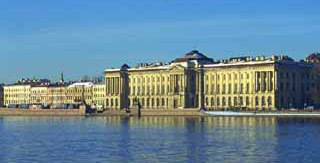 Most of his buildings are in Saint Petersburg: the Smolny Monastery, Vorontsov Palace, Stroganov Palace, Summer Palace of Elizabeth I (located at the site of present Mikhailov or Engineer Palace), the Large Peterhof Palace, the Winter Palace (interiors reconstructed following the fire) and other buildings. Between late 1748 and 1756 during the reign of Empress Elizabeth I, Bartolomeo Francesco Rastrelli headed the construction of the Tzarskoje Selo residence. 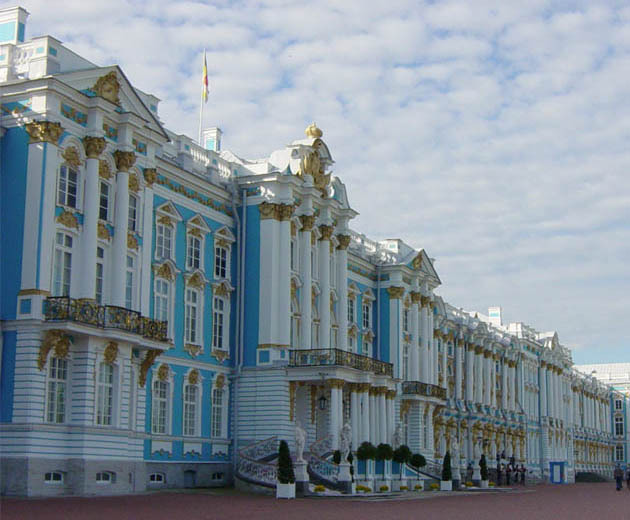 During this period he rebuilt the entire Large (Catherine) Palace. He also designed the Hermitage (1746 - 1752) and the Grotto (1755 - 1756) in the regular part of the Catherine Park. Between 1754 and 1757 the Slide Hill, disassembled in 1792-1795, was constructed according to Rastrelli's designs. Later the Granite Terrace still in existence today was constructed on this hill according to plans by the architect Luigi Rusca. 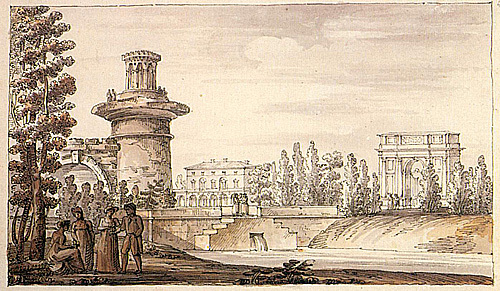 In 1750 - 1752 the Mon Bijou pavilion of Rastrelli's design was erected in the center of the Menagerie, in place of which the landscape part of the Alexander Park was later planned. The Arsenal designed by Adam Menelaws was later built in place of the Mon Bijou hunting lodge, which had been partially dismantled during the early 19 century. (b Rota d’Imagna, Bergamo, 20 Sept 1744; d St Petersburg, 1 March 1817). Italian architect and interior designer, active in Russia. He studied painting, first in Bergamo and then in Rome (from 1763), in the studios of Anton Raphael Mengs and Stefano Pozzi, before studying architecture (1767–9) with Paolo Posi, Antoine Deriset and the latter’s pupil Niccolà Giansimoni (d 1800). His contacts with enlightened artistic circles in Rome, with their enthusiasm for antiquity and the ideals of Neoclassicism, were important and bore fruit in his later work. A period in Venice (1771–2), where he was studying the works of Palladio, brought him into contact with members of the British community there, through whom he secured a few English commissions, such as the altar (1772–4) in the Roman Catholic private chapel of HENRY ARUNDELL at Wardour Castle, Wilts. Quarenghi later visited the south of France (1778–9) and was much interested in the work of Charles de Wailly and Claude-Nicolas Ledoux, which confirmed his commitment to Neo-classicism. 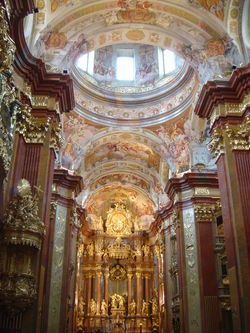 His first major commission (1771–7) was the internal reconstruction of the monastery of S Scholastica at Subiaco; various minor works followed. 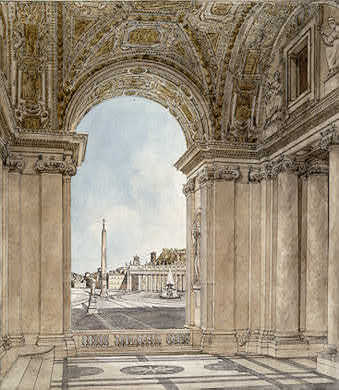 Design of the St George Hall in the Winter Palace. An innovation of High Baroque was the accommodation of inhabitants' comfort into the most grandiose and impressive aristocratic residences. In Continental Europe, the nobility developed a taste for country retreats, where they could escape formal life, while even palaces included domestic quarters. To this end, an increasing proportion of interior space was devoted to the private lifestyle of the upper classes, in the form of libraries, small sitting rooms, reading rooms, boudoirs, and music rooms. Despite the growing complexity in internal planning necessitated by the inclusion of domestic elements and the division of informal and formal realms. 18th-century buildings tended to be presented as a harmonious whole. This was apparent in the use of statuary. 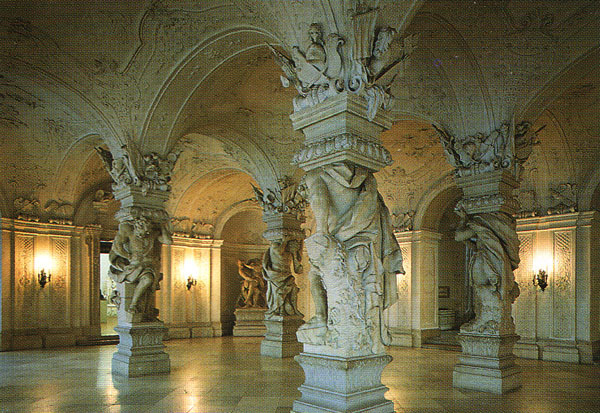 Outside, statues were mounted on pilasters and displayed in special niches, while, inside, they occupied entrance halls and corridors. These statues perpetuated the Baroque sense of movement, untrammelled and yet disciplined.